First, the Board of Directors and I wish to express our sincere gratitude to The Local Organising Committee and their team in Vancouver, headed by Dr. Andrew Blaber and Dr. Kouhyar Tavakolian. They put on a very successful conference in September 2016 with a record number of attendees in the American Continent. Our sincere thanks! The 2016 Proceedings are now available on line with direct access from the CinC web site http://www.cinc.org/archives/2016/. This year we have arranged to have our personalized doi (digital object identifier) for the proceedings. This identification will be of the form DOI:10.22489/CinC.2016.001-107, where the number 10.22489 is the prefix given to our organization, and the suffix CinC.2016.001-107 refers to our name (CinC), year (2016), and internal reference of each paper at the conference (eg 001-107). The doi will point directly to our CinC web Proceedings repository. The whole process has been finished later than in other years, due to the doi definition process itself, the required tool adaptation and the agenda fitting of the people involved in the elaboration, for which we apologize. Also, the papers will soon be available at the IEEE Xplore Digital Library. We are indebted to our Editor Alan Murray, and the CinC IT team, particularly Sheri Prucka, for all of the effort and hard work they have put into the production of the Proceedings. As you probably already know, the 2017 meeting will be held in Rennes, France. Rennes is the capital of Brittany, North West France, very well known for its university and cultural dynamism. The conference will be held at the École Supérieure d’Ingénieurs de Rennes (ESIR), campus de Beaulieu, Rennes, https://esir.univ-rennes1.fr. Further details can be found at http://www.cinc2017.org. In particular the Sunday symposium will be devoted to the fields of Cardiac Resynchronization Therapy (CRT) and vagus nerve stimulation. This year, following its successful introduction last year, the CTA will be offered for a second time. Remember that its aim is the promotion and further stimulation of the translational component of CinC attendees’ research, a joint initiative between the Working Group on e-Cardiology of the European Society of Cardiology (ESC) and CinC. The paper which best addresses current clinical needs will receive the award, consisting of $500 dollars + €500 (funded by CinC and ESC WG e-Cardiology) which will be granted to the research team. To participate, a full 4-page paper must be submitted no later than April 15, 2017. A panel composed of researchers with a clinically oriented profile will assess the submitted papers. The announcement to the winning team will be made at the time of abstract acceptance. One member of the winning team will have to present the paper at the plenary session on the last day of the conference. There is no conflict between the YIA and CTA as the first author can participate in the YIA competition if he or she is eligible as a young researcher and, at the same time be part of a research team entering the CTA. The prize and a diploma to each member of the team will be given at the awards ceremony. A list of proposed speakers, together forming an oral session with 4 presentations. It should be emphasised that abstracts submitted for a special session will be subject to review just like any other submission. Proposals should be emailed to the secretary of the CinC Board, Leif Sörnmo, leif.sornmo@bme.lth.se, no later than March 1, 2017. All proposals received will be evaluated by the Board based on the timeliness of the topic, its uniqueness, and the ability to bring together key researchers. The Secretary will notify the proposers about the outcome no later than March 15th. Since 1992, this award has been designed to encourage young investigators to present their work at CinC and have it discussed with experts. As an incentive every entrant in the YIA competition receives a 50% reduction in the CinC conference fee. The finalists can present their results in a plenary session and receive valuable cheques. You just need to have excellent results, be eligible for YIA, apply with a 4 page paper before April 15th, and attend CinC conference with a senior co-author. For last three CinC conference editions, fellowship support has been provided by Mortara Instrument Inc. When available, these Fellowships take the form of financial awards which allow young presenters to participate in the CinC meeting when travel costs might otherwise limit abstract submission and attendance. The Fellowships are intended to offset up to $2000 of the cost of attending CinC for successful applicants who a) should be 32 years old or younger, b) do not reside in the country of the current year’s conference, c) have previously presented their work at CinC, and d) submit acceptable papers on the topics of ECG or Patient Monitoring, which may include mathematical modelling. Full details can be found on the website, but please note that applications for these fellowships require a full 4-page paper to be submitted by the time of the conference abstract deadline. If awards become available this year, it will be an excellent opportunity for young investigators not to have the distance to Rennes as a barrier for attending CinC 2017. Similar to previous years, there will be an exciting PhysioNet Challenge, organized in co-operation with PhysioNet. The topic of the the PhysioNet/Computing in Cardiology Challenge 2017 will be announced soon at the web page. Those wishing to participate will need to submit an abstract describing their work on the Challenge no later than April 15th, 2017, and must attend the conference to present it. Details on the challenge are expected to become public in early February, at http://www.cinc.org/ and, later in http://physionet.org/challenge/2017/. Please note that the abstract deadline is April 15th, 2017, and remember that all young investigators submitting a 4-page paper by the time of the abstract deadline, and attending the conference with their mentor/supervisor, will receive a 50% discount in registration, even if their paper is not submitted for YIA. You can access and follow the CinC profiles via https://www.facebook.com/ComputingInCardiology and https://twitter.com/CinC_tweets where timely information is distributed about the conference. An announcement was made at the closing of CinC 2016 that there would be four vacancies on the Board of CinC in September 2017. The Board invited expressions of interest from those who would be willing to work towards the aims of the organisation. The rest of the current members of the Board, who have not yet completed their 3 periods, each with a 3-year mandate, will most likely remain to provide experience and continuity. If you have attended a good number of previous meetings of CinC, feel you could bring some managerial experience to the Board, and you have not yet done so, please write to the past president, Peter Macfarlane, Peter.Macfarlane@glasgow.ac.uk, who will coordinate the process and provide you with a form to fill in your data and submit a short statement about your qualifications and skills. Please remember to provide that information no later than April 1st 2017. 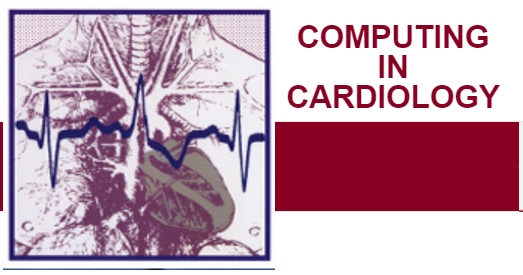 I sincerely hope that you are planning to submit an abstract for CinC 2017 so that we can continue to ensure that Computing in Cardiology remains the top conference for those interested in the field. The Board of Directors looks forward to seeing you in Rennes, France, in September 2017. 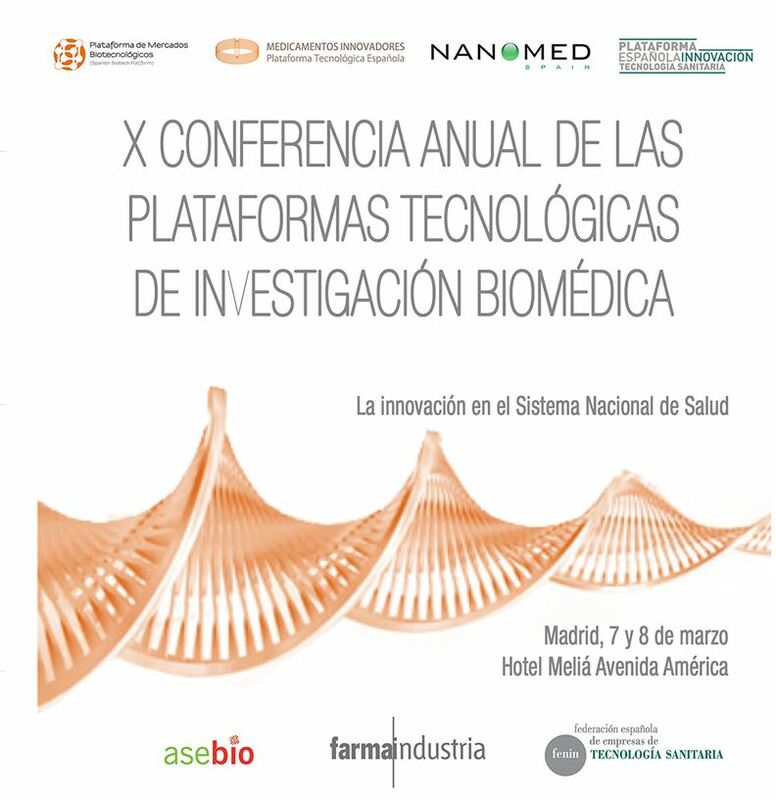 On March 7 and 8, 2017, the “X Conferencia Anual de las Plataformas Tecnológicas de Investigación Biomédica: Medicamentos Innovadores, Nanomedicina, Tecnología Sanitaria y Mercados Biotecnológicos” will be held in Madrid. Several aspects of innovation in the National Health System will be addressed, from a national and international perspective of public-private collaboration. On Wednesday, March 8 at 9:30 am, Jesús Izco, Coordinator of NANBIOSIS, will explain the opportunities offered by the ICTS NANBIOSIS as a Network of Excellence for Research and in Biomedicine, especially in the fields of nanomedicine and biomaterials. 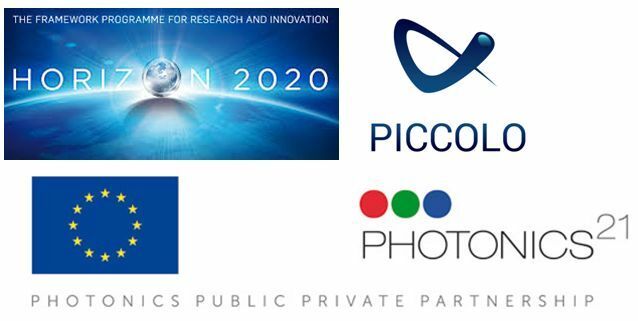 The meeting, which brings together more than 300 scientists and researchers every year, has become a benchmark for biomedical research, as it reveals the latest national and international public-private partnership initiatives in this area. Deadline for registration: March 2 at 5:00 p.m.
During the Conferences there is the possibility of individual advice / guidance by the CDTI on proposals for R&D&I projects at the enterprise level. To do this, it will be necessary to fill in the form available at the following link and send it to the following address: dptosbcrn@cdti.es, indicating in the subject: Asesoramiento de propuestas en X Conferencia de Plataformas de Investigación Biomédicas, to be able to schedule the meetings. 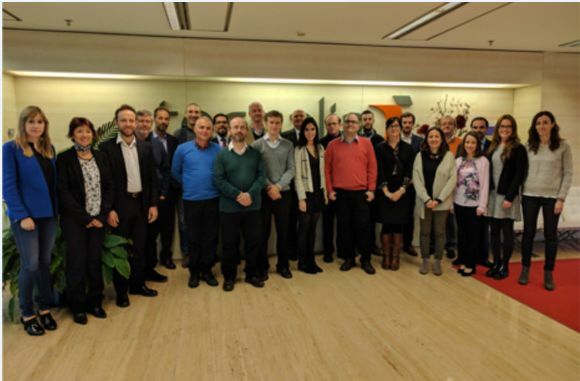 The recent published Newsletter of Institut of Màcula and the Barcelona Màcula Foundation: Research for Vision reported about the forum B·Debate Fighting Blindness. Future Challenges and Opportunities for Visual Restoration, September 6-7 , that gathered more than thirty experts in the different areas related with blindness. Many devastating blinding disorders that affect the retina in the developed world have a well-known genetic background. Despite gene therapy strategies have made major advances in recent years, many of the patients affected by inherited retinal diseases must live under impaired vision, even with the best medical treatment. Therefore, the development of effective gene carriers represents a major challenge for the scientific community. At present, viral and non-viral vectors are the most employed approaches to deliver genetic material to the retina. Although first promising clinical trials results with viral vectors offer reasonable hope to patients affected by some inherited diseases that cause irreversible blindness such as Retinitis Pigmentosa, Stargardt´s disease, Choroideremia and Age related Macular Degeneration, important concerns related to the risk of oncogenesis, immunogenicity, inflammatory responses, and the persistence of viral vectors in brain after intravitreal injection have garnered the interest to invest on non-viral gene transfer methods. Compared with their counterparts, non-viral vectors offer many important advantages, since are less limited by the size of the gene to transfect, do not raise major safety concerns, are easier and cheaper to produce, and are classified as drugs rather than as biologist by the regulatory authorities. Multifunctional biomaterials and nanomaterials: the new technological revolution. Nanotechnology is the application of nanoscience and, in its modern conception, implies having the ability to design nanomaterials for a specific purpose and to control the manufacturing processes that allow them to have the desired characteristics (composition, size, shape, surface characteristics). 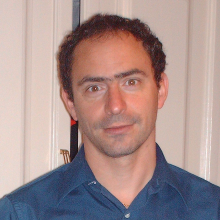 This talk presents the developments in nanotechnology as a true technological revolution. The general concepts and the influence of nanotechnology in our lives shall be discussed with examples of recent advances, with special emphasis on those obtained in the Institute of Nanoscience of Aragon and Unit 9 of NANBIOSIS including with applications in the field of nanomedicine. The quick development of nanotechnology and its application in medicine have generated new alternatives for the diagnosis and treatment of diseases thanks to the novel methods of preparation, modification and characterization of nanomaterials. The knowledge about the behavior of matter at the atomic and molecular level has allowed the creation of tools and processes to observe manipulate and control biological structures on a scale between 100 and 10,000 times smaller than a mammalian cell. Nanomedicine is defined as the application of nanotechnology in view of making a medical diagnosis or treating or preventing diseases. It exploits the improved and often novel physical, chemical, and biological properties of materials at nanometer scale. One of the applications in nanomedicine is diagnostic. 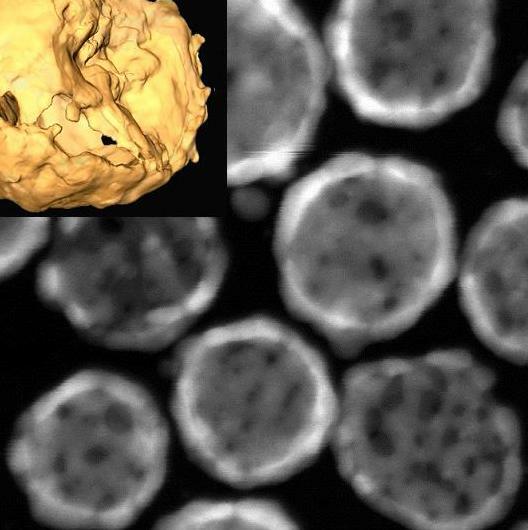 Nanodiagnosis consists of developing systems and image analysis techniques both in vivo and in vitro for the early detection of disease, at cellular or molecular level. One of the detection systems developed to date is based on nanoparticles (semiconductor, or magnetic metal) such as quantum dots that are used as cell labeling, identification of tumors or diseased areas. Another line of action within this field is the diagnosis with biosensors or nanobiosensors. These biosensors integrated nanoscale devices for a biological receptor (proteins, DNA, cells) are prepared to specifically detect a substance and a transducer or sensor, capable of measuring biomolecular recognition reaction and translate it into a measurable signal. On the other hand, nanomedicine is being investigated as a way to improve the properties of medicines, such as their solubility or stability, and to develop medicines that may provide new ways to target medicines in the body more accurately and to support the Regeneration of cells and tissues. Therapeutic nanosystems research line includes both the development of pharmacological release systems optimized to traverse the blood-brain barrier, and the specific release of enzymes, proteins or gene inhibition strategies by means of siRNA. The development of therapeutic nanoconjugates and of local and controlled release systems for these nanoconjugates, would allow guiding the treatment to the area of action, in the attempt to achieve perfect control of the therapy, preventing the action of the drug or therapeutic particle in areas that might entail a potential risk for the patient. It is widely accepted that the use of nanotechnology offers impressive potential in the development of innovative pharmaceuticals with enhanced therapeutical properties. For example, it is known that the integration of therapeutically active molecules in nanoparticulate materials (polymer nanoparticles, micelles, nanosuspensions, nanovesicles), with well-defined structural characteristics, has shown to be a very effective strategy to increase the efficacy and reduces toxicity of drugs . However, producing such nanoparticulate materials at large scale with the narrow structural variability, high reproducibility, purity and cost required to meet the high-performance requirements and regulatory demands dictated by the EMA and US FDA agencies is a challenge. However, knowledge about the toxicology of nanoparticles is limited. At the environmental level for example, Nanotoxicology has revolutionized toxicology, since nanoparticles can reach unsuspected sites due to their small size. Toxicological studies have shown an increase in the toxicity of nanoparticles ( In addition to that, the processes by which the organism will remove the nanoparticles are not well understood. Nanodrugs can show complex action mechanisms that combine mechanical, chemical, pharmacological and immunological properties. It is necessary necessary a depth knowledge and expertise to assure the quality and to determine the safety efficacy and make a correct risk analysis of nantotechnoligy based products; a complete preclinical validation with correct nanomedicine animal models. According to EMEA, altyhough some Medicinal products containing nanoparticles in the form of liposomes (i.e. Caelyx, Myocet), polymer protein conjugates (i.e. PegIntron, Somavert), polymeric substances (i.e. Copaxone) or suspensions (i.e. Rapamune, Emend) have already been granted Marketing Authorisations within the Community under the existing regulatory framework, there is insufficient knowledge and data concerning characterization of nanomedicines, their detection and measurement, the fate (and especially the persistence) of nanoparticles in humans and in the environment, and all aspects of toxicology and environmental toxicology related to nanoparticles, to allow for satisfactory risk assessments for humans and ecosystems to be performed. Although the existing toxicological and ecotoxicological methods are appropriate to assess many of the hazards associated with the products and processes involving nanoparticles, they may not be sufficient to address all the hazards.EMEA. A cascade characterization based methodology to carry out a preclinical validation based on milestones and adapting existing methodologies and methods and managed by expert staff like the offered by NANBIOSIS is essential to market new nanomedicines. 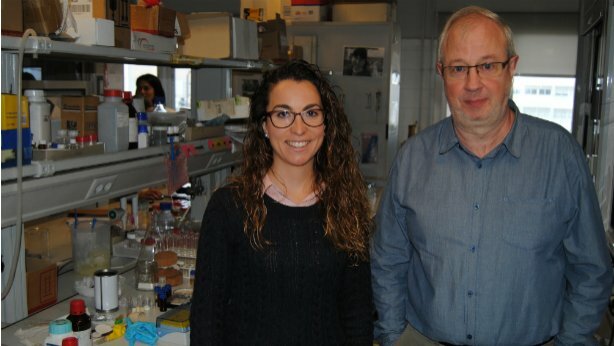 Researchers of the Universitat Politècnica de València (UPV), the Universitat Rovira i Virgili (URV) and CIBER of Bioengineering, Biomaterials and Nanomedicine (CIBER-BBN) have developed new nanodevices to detect the presence of cocaine in saliva or in any another aqueous solution. 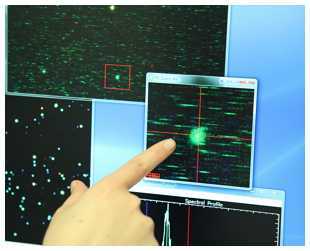 Part of the characterization of the probe was carried out using NMR facilities from NANBIOSIS. The paper is published in the journal Scientific Reports, of the group Nature. The development consists of a molecular gate designed with nanoporous alumina, an aluminum oxide prepared by electrochemical means with pores of micrometric diameter. “A molecular gate -explains Ramón Martínez-Máñez, scientific director of Unit 26 of NANBIOSIS- is a mechanism in which its state (open or closed) can be controlled at will by external stimuli, in this case the presence of cocaine. The main novelty with respect to other detection systems is the use of porous alumina plates that are easy to use and reusable for other sensors”. This new intelligent nanodispositive lays the groundwork for the use of porous alumina in the development of molecular gates for the detection of chemical and biological compounds with applications in fields such as health and the environment. Micro and nano capsules that will increase the effectiveness and precision of medicine. José Luis Pedraz, Scientific Director of Unit 10 of NANBIOSIS and members of NANOBIOCEL group, which coordinates Unit 10 of NANBIOSIS, explain for the TEKNOPOLIS program of EiTB, the first communication group in the Basque Country, the development of micro and nanocapsules, gels and scaffolds to solve the problems of administration of new drugs. The new active principles – says Pedraz – that have emerged in recent years from studies of genetic engineering, the production of recombinant proteins and others, have generated new molecules whose characteristics are very different from the conventional active ingredients of chemical synthesis and have raised a series of problems with their administration that do not solve the classic pharmaceutical formulas of the type of tablets, capsules or injectables, this is the reason why it is necessary to develop new systems of administration based on micro and nano technologies that can be administered in a correct and efficient way for patients. These devices can be used for transplantation and treatment of different diseases such as Parkinson, Alzheimer or Diabetes.